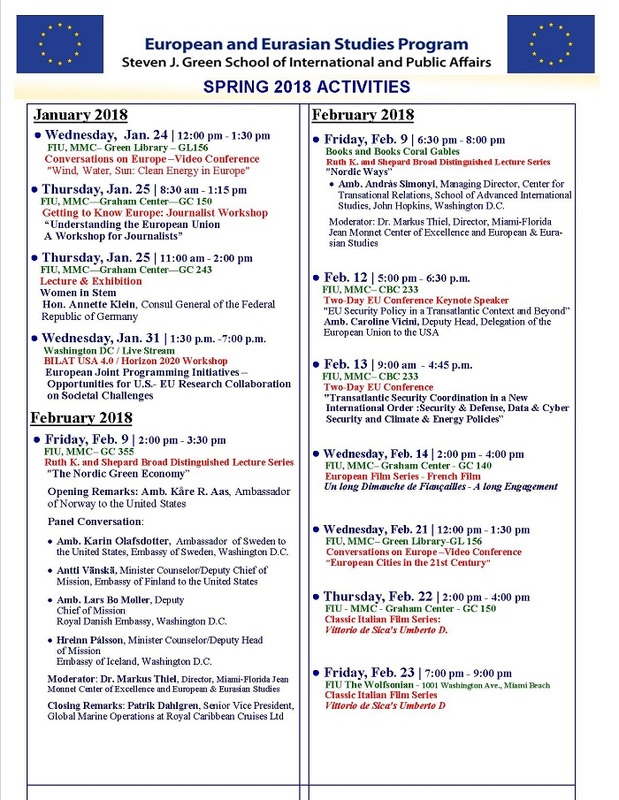 The Miami-Florida Jean Monnet Center of Excellence at the European and Eurasian Studies is organizing many activities this Spring 2018. You are welcome to attend a series of academic conferences, European films, public lectures and roundtables featuring EU speakers. In order to view the details of the Spring 2018 activities, click here.